If you&apos;re going to be hitting the trails this season along with street and track running, the Newton Terra Momentum is a sneaker you should consider. The Newton Terra Momentum is designed to withstand the rigors of unpredictable mountain surfaces just as well as smooth pavement. The Terra Momentum&apos;s upper is constructed of a breathable closed mesh which ensures debris won&apos;t creep in. The non-stretch upper features webbing for lateral stability and a flexible, molded PU support frame. 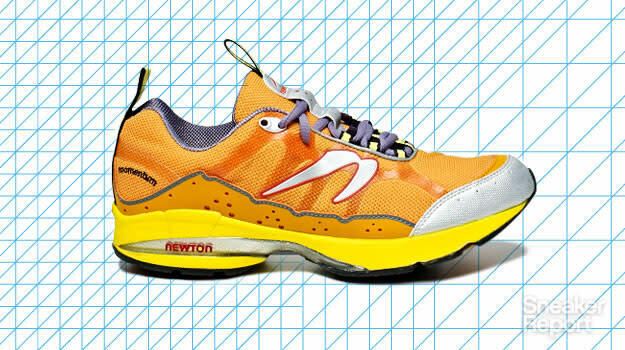 Newton&apos;s patented tuned Action/Reaction tech is utilized in the EVA midsole, delivering a responsive, cushioned feel. Meanwhile, the high-traction rubber compound outsole is able to withstand a beating on trails. Go rugged today with the Newton Terra Momentum for $150.